Collect them all and recreate exciting adventures from all of the films! 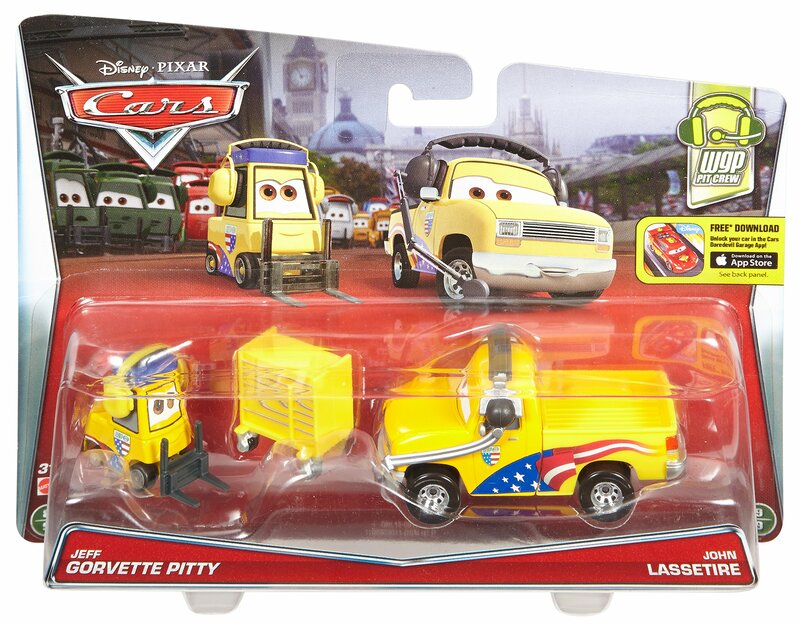 Favorite characters from Disney/Pixar Cars are rolling in, and these two-packsdouble the fun! Each set includes two star cars that share a key scene in thefilm. From grills to wheels, these big personality vehicles feature authenticstyling and iconic details. Kids will love reenacting favorite movie momentsand create all new road and track adventures. Each sold separately, subject toavailability. Colors and decorations may vary.